As the rainy weather saturates our city, I can’t help but think of my fellow students who have no protection from it. These are some of the students who inspired me to run for my senate seat. When we came to UC Davis, we never expected finding housing to be an integral part of our college experience, yet all too often it is. Housing insecurity and homelessness are a real problem for UC Davis students. In fact, in a recent survey, nearly a fifth of students reported experiencing homelessness at some point during the last school year—whether that be couch surfing, sleeping in a car, in a public restroom somewhere, or worse. While I am energized about the recent passing of a few key student-oriented housing projects, I think it’s important to remember that our housing crisis in Davis is far from over. I am frustrated when I drive by sites with approved projects that are in limbo by lawsuits. Lincoln40 is a perfect example of this—an otherwise shovel-ready project that has been stymied now for the better part of a year because one person doesn’t want us to live in her backyard. So I write this letter both as a reminder and a thank you to the people of Davis and the surrounding region. I thank those that have been sympathetic and supportive of our situation… those who wrote letters, made public comment, and voted for the entitlements of key projects. And I remind those who stymie the efforts of the City of Davis and developers to build critically needed housing that we are cold, wet, and tired. Alisha did a good job of capturing the student plight here – there is no new housing. 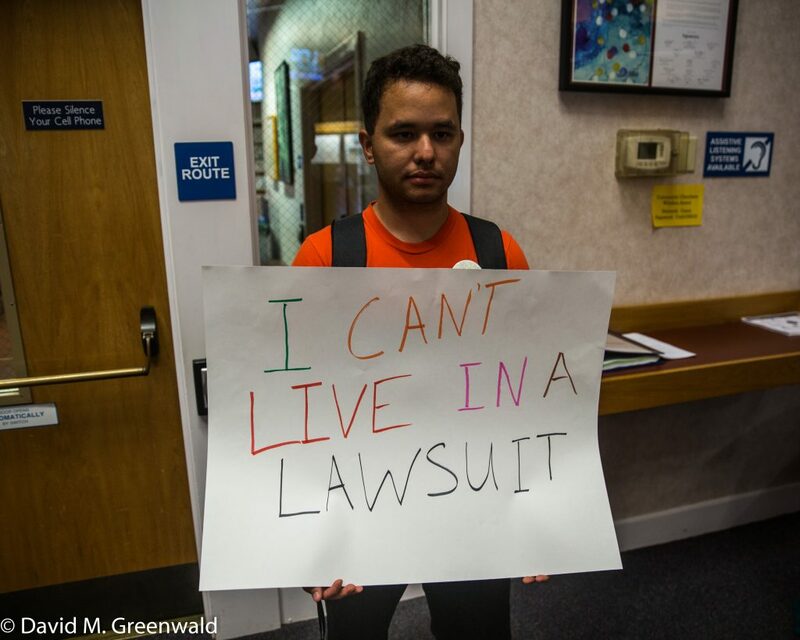 People who live in comfortable housing are stopping students from doing the same.